Online Discount offer cannot be combined with any other promotions. 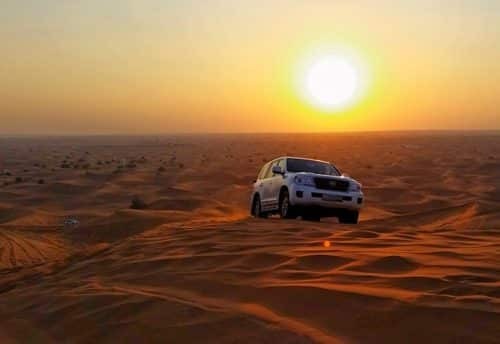 Passengers with pre-existing medical conditions, especially heart ailments and back problems may be adversely affected and we do not recommend to participate in the journey so we will recommend to take an exclusive car so the driver can show you desert without dune bashing and send you direct in the camp. Really enjoyed this tour, our tour guide , was awesome and very accommodating he made the tour very enjoyable for our group and I. The entire trip was enjoyable from the ATVs to the Camel ride to the dinner under the stars. The Desert safari tour was excellent! The Dune bashing was so exhilarating and thrilling. Driver Habib was very helpful. He made our entire evening very enjoyable. The food was delicious and fresh. And I also really enjoyed all the entertainment they had put up for us, especially Quad Bike. This is a must to do! We had a great experience with Skyland Tourism. Our guide was excellent and very helpful, he was very kind and extremely knowledgeable. 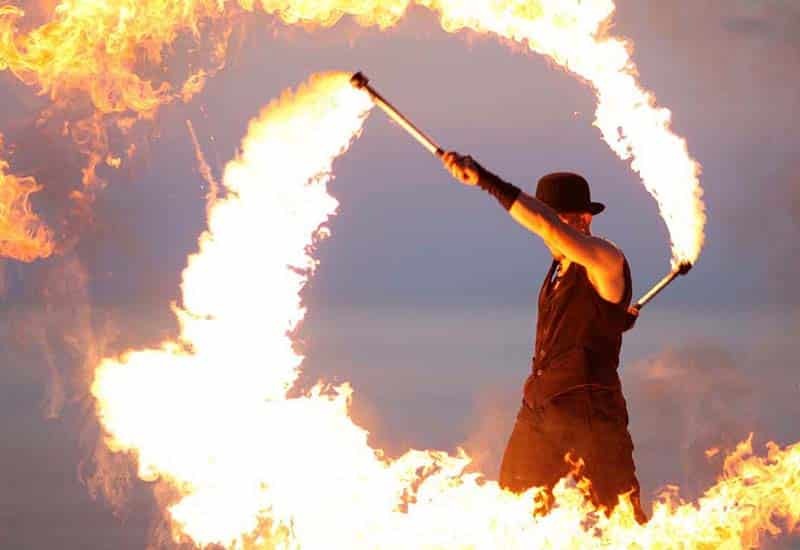 We have enjoyed the Dune Bashing, Quad Biking, Camel Riding, BBQ Dinner, Live Show & more. He helped in making our trip a success for our group. I would recommend this company and to others visiting Dubai. Every person prefers a place where they get to enjoy the maximum number of fun-filled activities. There are thousands of places in this whole world which has a number of activities to offer activities which may be a pleasure to experience. 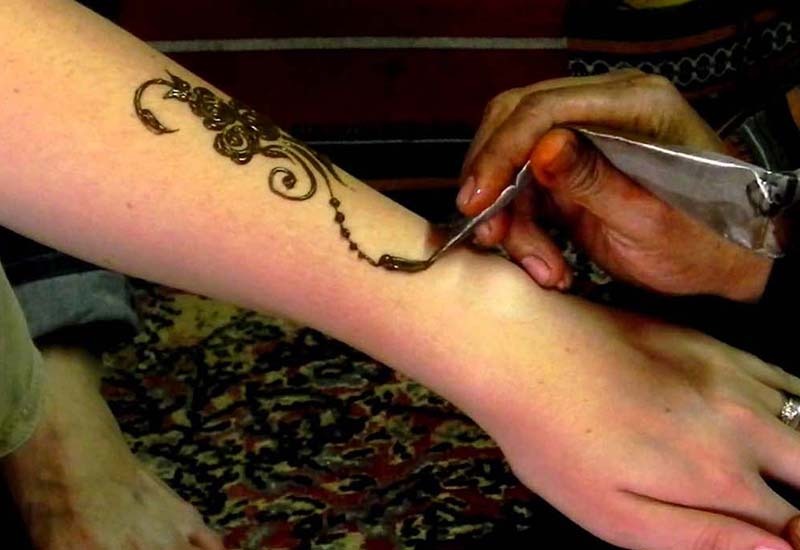 But I swear Desert Safari Dubai is a place which has unique activities to offer and the pleasure you will get from these activities would be a different one. 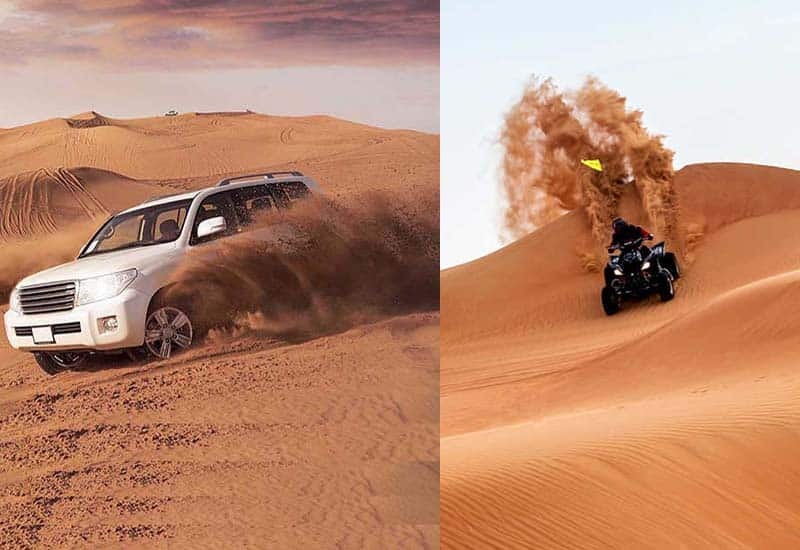 Dubai Desert Safari is a very famous desert among all the deserts of UAE and is known for a lot of activities which takes place there, but I guess Quad Biking is a kind of activity that is famous among all the activities. In our normal daily life busy routines, of course, we can never get a chance to get a quad bike ride, either we travel in a car or if we travel in our bike so that bike is a normal bike which you can only ride on a road. So, if you are at your Dubai trip and you are planning to visit Desert Safari then why not plan for getting a quad bike ride? The quad bike is a type of bike but it has four wheels, unlike other bikes. Now let me take you to some imaginations. Imagine that you are sitting in a kind of bike you have never got a chance to sit before. That ride is going at a very high speed. You are experiencing the zig-zag of sand dunes. While sitting on that bike you are feeling like the king of the desert. Your confidence and bravery have gone to the next level as you are having the most fearless experience of your life. Just imagine it, I swear you won’t be able to stop yourself from planning a trip to Desert Safari Dubai after imagining all of this. Before riding the bike our guide which will be present there will guide you on how to use it. Once you are confident enough that you can ride it then only you will be allowed to go for the ride. 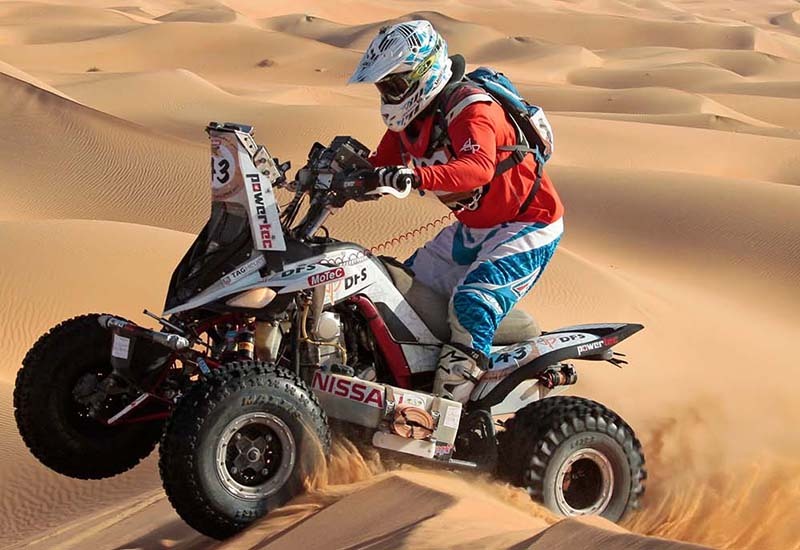 Why this Quad bike ride is more special from other activities in Desert Safari? The special thing about this ride is that you get to see the vast red sand dunes at a very high speed a speed which will be manageable by you. Whereas if we talk about other activities or say rides in the Deserts so there you are not able to ride in the desert at a high speed, for example, like there is camel ride in that ride the speed is not manageable by you and as you know camels walk very slowly. So yes if you want to have a ride experience at a very high speed in Desert Safari so you should go for Quad Biking. Check the best deals for it right now. We provide you the best deals for Quad biking. Book your deal now. 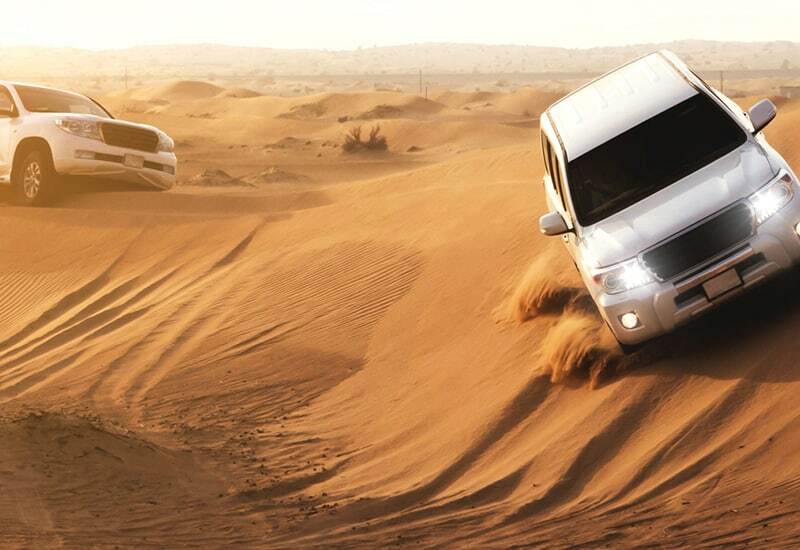 Desert Safari is an absolute necessity to visit in Dubai. 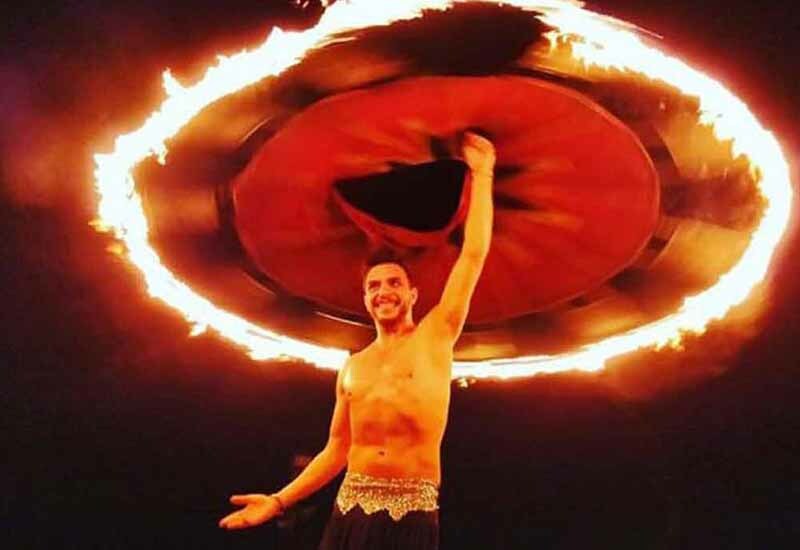 In this safari, you will encounter exciting drive in the Arabian Desert’s sand rises, and appreciate an incredible BBQ Dinner over a live Belly move in a desert camp just outside the advanced city of Dubai. Experience the rushes of the rises and witness fabulous perspectives of the nightfall amid our Desert Safari Tour. After achieving the camp in the desert, a customary Arabian welcome anticipates you. Appreciate the genuine Arabian feel at this regular great quality Bedouin campground, with customary Arabian floor coverings, low tables, and pads for open to seating and unwinding. Desert Safari has been the common decision for the greater part of the sightseers due to the different exercises that it takes into account the guests. 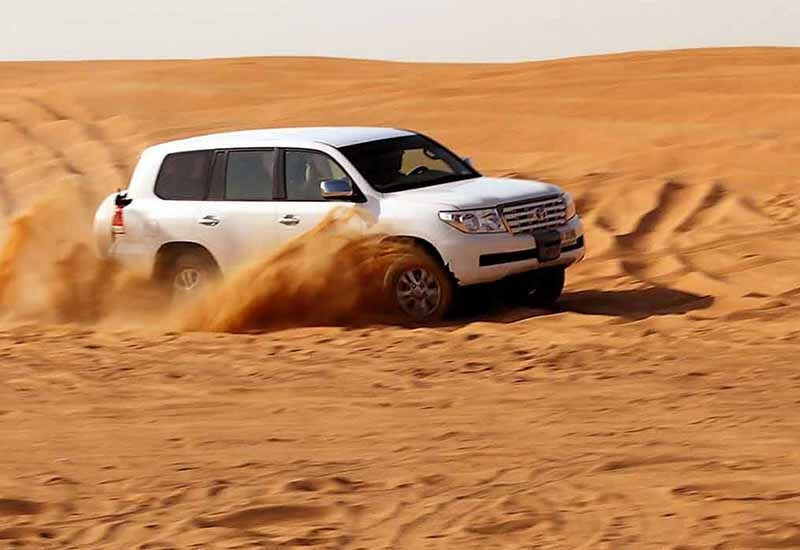 Travelers plan for a Desert Safari visit in the winter season to generate a common mood. Winter downpours are experienced and north-westerly breezes set the cooler blustery climate. There are numerous deserts and visitors investigate every one of them. There are a lot of exercises that should be possible amid the Dubai safari journeys. Quad biking and hip twirl are the absolute most famous ones. 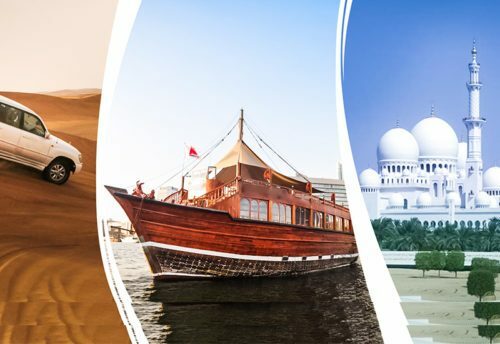 The vast majority of the explorer’s choice for a medium-term stay appreciates hot grills, live full amusement and play extraordinary – distinctive sort diversions amid their trek to abandon safari Dubai. Dubai safaris are accessible in various bundles like Quad bicycle, morning safari, evening and medium-term safari outings. Voyagers can pick any betray safaris according to their decision and accommodation. This is an additionally preferred standpoint for the sightseers. 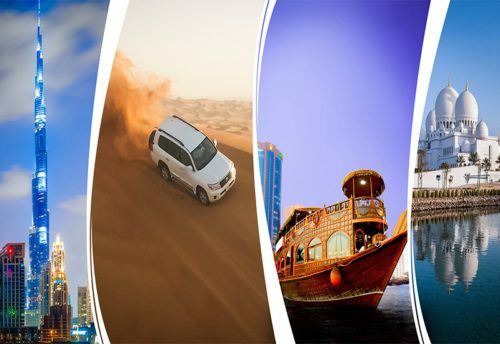 For a helpful and pleasant trek, visitor book their tickets with a rumored Dubai visit organization well ahead of time. Quad bicycle safari is exceptionally engaging and cuts a place of partiality in the brains of the explorer. Indeed, even seeing a wide range of Terrain Vehicle makes the voyager needing to hurry into the sand and leap forward all the sand rises. A diverse piece of the different desert safari visits in Dubai, quad bicycle safari leave its enjoyers needing for to an ever increasing extent. Weaving through the apparently interminable desert safari is basically heavenly. Welcome, a groundbreaking night venture on a show, a standard wooden cruising vessel. A sumptuous eat up of terrain and oriental dishes (in buffet outline) is set amidst excited Arabian melodic preoccupation as you voyage past Dubai’s stunning lit up skyline. Exceedingly recommended in case you need a light night and remarkably if you are a couple. One can just go and sit on the upper decks and loosen up and have a very wistful night, organize some wine and smoke a shisha while you venture the Dubai waterway. 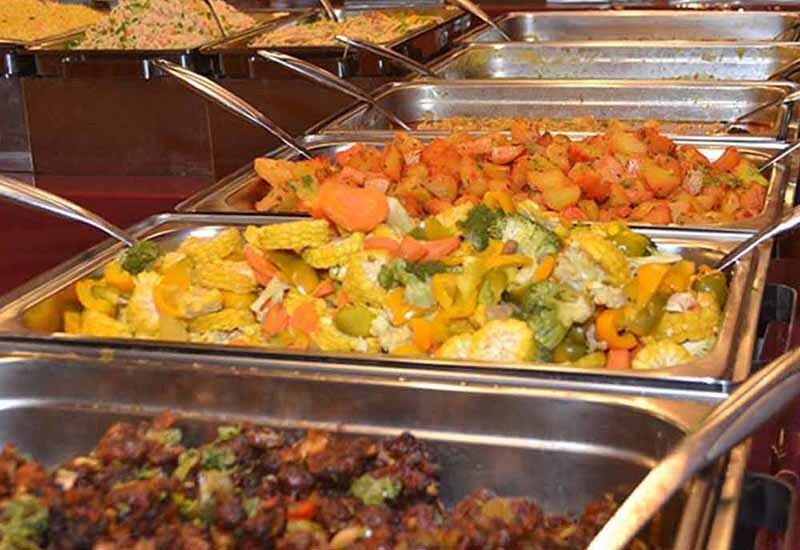 In like manner the sustenance on the voyage is incredible, the kebabs and the grills are particularly inviting.